The best example we have of conflict resolution is God Himself. Time after time, we turned away from Him. We sinned against Him. And we did things we knew weren’t good for us. So, God decided to have some conflict resolution—with us. How did He do it? Humbly and directly. God sent His Son, Jesus, to earth to be born in a lowly, dirty animal stable. He came as one of us—a person. He lived life just as any human would. But unlike us, Jesus lived a perfect, sinless life. Then, He died on the cross to pay for our sin in the ultimate conflict resolution. He didn’t have to, but He chose to. He took what we deserved and put it on Himself. 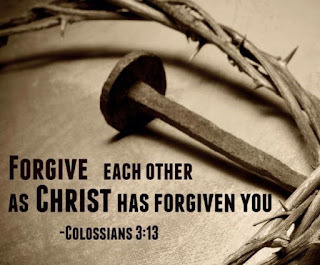 He died to confront the conflict and forgive us of our sins so that we could be with Him. If we call ourselves followers of Jesus, we’re supposed to follow His lead. And that means things might get a little messy. He asks us to confront conflict head on instead of running from it, by going immediately, directly, and humbly—just like He did. The thing to remember is that dealing with conflict in a healthy way won’t always fix our relationships. Sometimes, people may not accept your apology. And sometimes, the conflict may not go away overnight. But, learning to handle conflict in a healthy way heals your heart, even if it doesn’t heal your relationship. Why? Because when we deal with conflict the right way, we become more like Jesus. So, let’s embrace conflict. Let’s be like Jesus—humble and forgiving. Remember: He saved us when we didn’t deserve it. So, let’s extend that same grace to others, even when we think they don’t deserve it either. Dear Lord, help us deal with conflict in a way that honors You. Give us wisdom to help us get our relationships right. Help us forgive others the way You’ve forgiven us. In the Name of Jesus, Amen.